How To Negotiate A Reasonable Rental Increase - Eviction Lawyers South Africa | Le Roux Attorneys Inc.
As the economy continues to stagnate and inflation continues to raise prices have no choice but to move with the times and unfortunately, as with most things in life, rent goes up each year. Even though the rental market is a multi-billion Rand industry surprisingly, there is no real science or guideline on how to establish the percentage of how much the rent will increase. Landlords have simply stated their price and it is very little apart from a willing buyer willing seller setting the pricing. 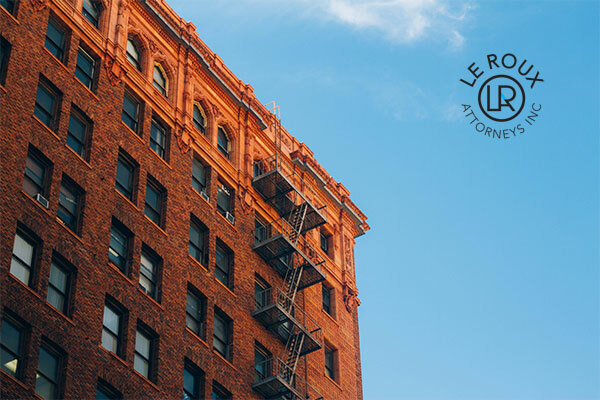 There are many factors that affect the cost of rent for example In Cape Town, where rentals are at a premium, the escalation of rent at the anniversary of the lease can seriously impact the tenant’s budget for the next year. This is because landlords are aware that there is a serious lack of available long-term rentals in the area and can demand premium pricing for their homes or flats. How to negotiate a reasonable increase on your rent? Should you extend the lease in the first place? Firstly you need to decide if you want to continue renting to your current tenant and if they re worth keeping on. To evaluate whether or not a tenant with worth renewing they should meet the following requirements at least. Been untimely with rental payments. Has made unnecessary or unreasonable demands. Been regularly uncooperative with access for contractors or inspections. Had complaints regarding their conduct in a sectional title scheme or from neighbours. That it needs to be in line with inflation. An increase in rent obligates the landlord to make upgrades. The most effective way to convey that you are an exceptional tenant is by paying on time and in full. For many landlords, escalations should reflect a fair return on their investment and should be market-related. Tenants need to keep in mind that the increase in rentals is influenced by supply and demand more than any other factor. The most effective way to convey that you are an exceptional tenant is by paying on time and in full. This may mean consistently paying one day before the rent is due. Good communication is key, and keeping the agent/landlord informed of any maintenance (necessary maintenance) and being flexible with access for repairs will make you stand out as a reasonable tenant. Be reasonable and general understanding that the agent or landlord cannot be obliged to attend to any and every small maintenance item. Taking the initiative and fixing it yourself will aid your cause when negotiating less of an increase. Keeping the property neat, clean and presentable. Keep a record of items you have attended to or improved in the property. Remind the agent or landlord of these without trying to coerce a lower increase. At the time of the expiration of the lease, you would confidently be able to request a lesser increase if you have been a great tenant. Evictions are never easy and should always be seen as a last resort, always try to come to terms with your tenant before moving into the legal process of eviction. If however, you feel like you have no choice it is best t contact a professional eviction lawyer who can guide you through the process of a residential eviction.